Are you looking to raise funds through an equity crowdfunding campaign? Join our 6-week accelerator - CrowdBoost - starting in February 2019 to get you ready to raise. Rather than diving headfirst into fundraising, its important for entrepreneurs to plan the most sustainable way to raise money for their business. We spoke to Andy Deeley of FITCH Brew Co – a North Yorkshire-based company that are creators of premium cold brew coffee – and found out why selecting the right crowdfunding platform was key to his success. My background since leaving university in 2007 has been in startups and finance. During this time, I have helped a UK-based company of 20 people grow into an international business with 160 employees. Emily Fitchett has spent 10 years building a network and invaluable experience within the drinks industry. 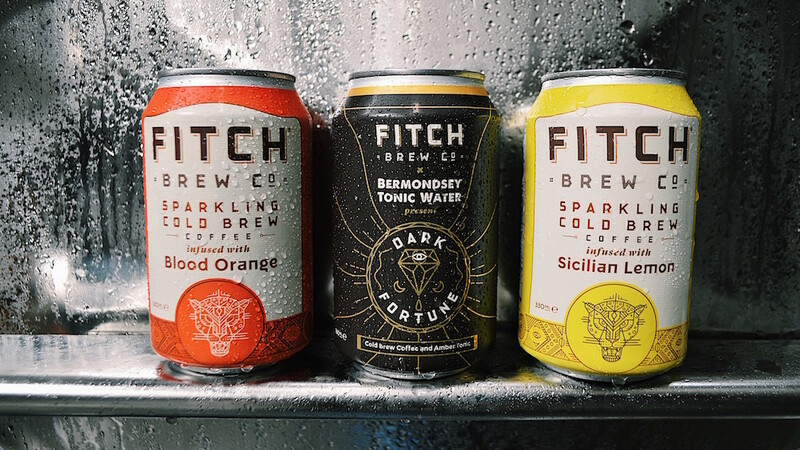 The combination of our complementary skill sets has proved invaluable for FITCH Brew Co.
Having spent a considerable amount of time in the USA, we found that cold brew coffee is a fundamental part of daily life and realised this was not the case in the UK. Observing the growing trend of millennials and Gen Z’ers to consume less alcohol and combining this with our background, the gap in the UK for a ready-to-drink cold brew became obvious. This led to us raising our seed funding in February 2017, after which the journey got a lot more interesting! Our ready-to-drink range offers consumers a caffeinated, refreshing pick-me-up. We use a premium, single-origin coffee blended with all-natural ingredients. This creates a unique and delicious range of no/low-sugar vegan drinks. We sold our first product in June 2017 and now our Still and Nitro Cold Brew range is stocked in hundreds of venues nationwide. We have recently released our Sparkling Cold Brew range, which we couldn’t be more excited about! 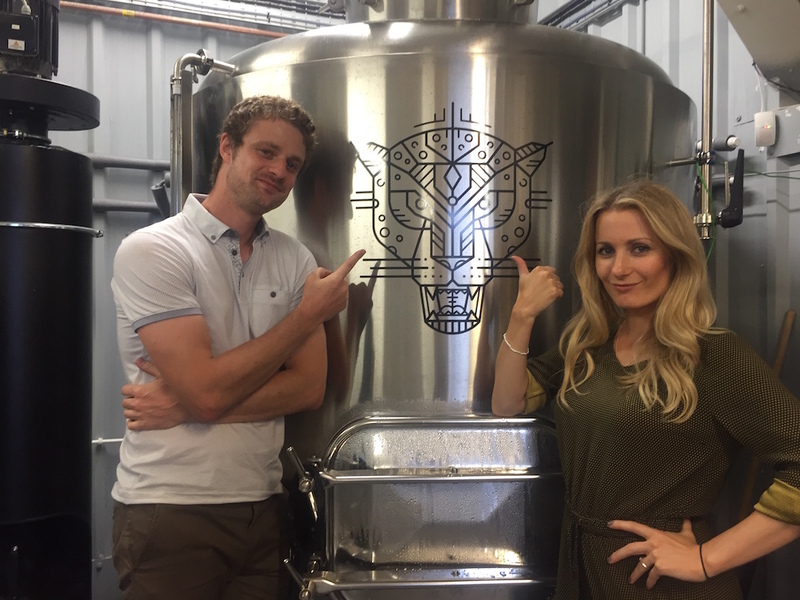 Our leopard logo is born from Emily’s family coat of arms and is named Nebiri after the Amharic (Ethiopian – where we sourced our first ever coffee) translation of leopard. The initial approach to raising funds was towards individual angel investors, which is a common approach that allows startups to use their existing networks. After some initial private investor conversations, it became clear that we are a consumer-facing brand that would benefit from having more than just one or two investors. Our brand is consumer-facing, so why not get it in front of as many potential ambassadors and customers as possible. Hence the decision was made to go down the crowdfunding route. Once we got into the conversations, it was then about client support, potential on-boarding steps and not forgetting that instinctive gut feeling. These factors led us to going live with Crowdcube in Feb 2017. This gave us exposure to a huge volume of potential investors and, after overfunding in as little as 29 hours, we knew we had made the right decision! Emily created a hugely exciting and passionate video about the FITCH brand that explained why potential investors needed to be a part of this – selling this vision is key in any form of fundraising! We now have around 150 investors on board that can be brand ambassadors and help grow FITCH Brew Co. This initial investment gave us the capital to start the FITCH journey. A big decision prior to raising the initial capital was to determine whether we should manufacture in-house or outsource production. To make this decision, we looked at the pros and cons of both options for our business. An innovative coffee brewery on a mission to challenge traditional perceptions of coffee. To achieve this vision, innovation would largely come through understanding the process of in-house production. This would allow us to make timely advances in our product development. Plenty of research was carried out in order to understand the Cold Brew methods of production, which included speaking to different people across the drinks industry. Gaining insight from people within the same and similar industries was highly important. Early-stage product development was carried out on small pilot testing equipment, which allowed us to refine the coffee bean origin, ground size, water profile and brew length, among other factors. Once we were happy with the prototype, it was time to scale and launch our Still & Nitro Cold Brew. This in-house production has allowed us to develop five products across the range in just under a year, with plenty more on the horizon!